One of our best free easter crafts for kids are our hand drawn easter coloring pages. Print them out and enjoy the Easter season by decorating these lovely pictures. Below you will find links to download the pages. 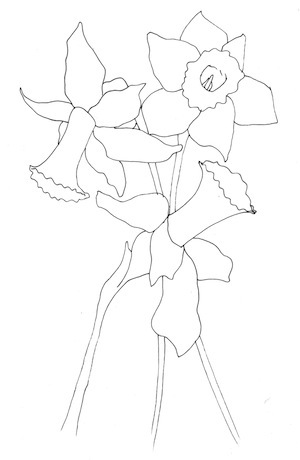 Click here to print out this free printable kids coloring page full of daffodils. Brighten up your Easter by coloring in these gorgeous yellow bulbs! Click here if you are looking for free printable kids coloring pages for spring?